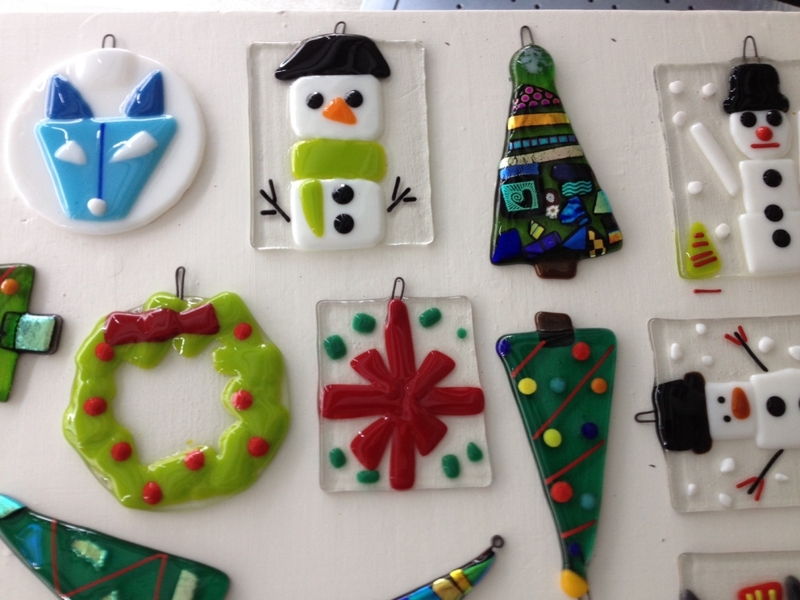 Nourish your creative holiday spirit and join us for this fused glass ornament class. Layers of vibrant, luminous glass create sparkling holiday ornaments that will make your home, windows, or tree dazzle with art pieces that will last a lifetime. Our ornament class pricing system is more equitable and allows you to purchase the number of ornaments you want to complete – or add more as you go. The $20 class fee includes one ornament per person, and additional ornaments are available for $7.50 each. Typically, one person makes 4 ornaments. Finished work is available within the week. These glass ornaments make great gifts. Come try it with a friend. Or make a new family tradition. No one under 7 years old. All children must be accompanied by a paying adult.